Saddle: North 35:13.105, East 024:48.313, elevation 2095 meter. Difficulty YDS class 2, (direct route). Comments: See the description of Timios Stavros. 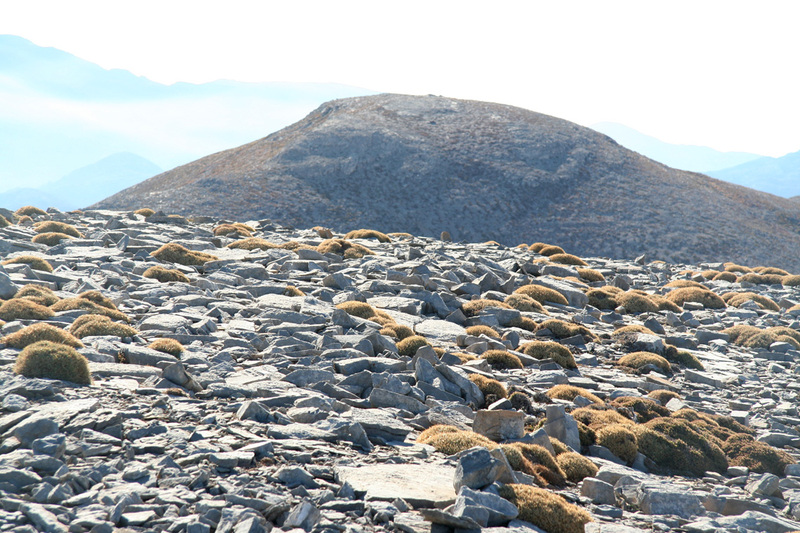 Koustakis, as seen from Vouloumenou, 2267m, on the way to Timios Stavros.